Notes: Great Heineken Cup semi final today, a really nailbiting game. Munster won by a mere two points (18-16), but Saracens kept attacking right up to the final whistle. 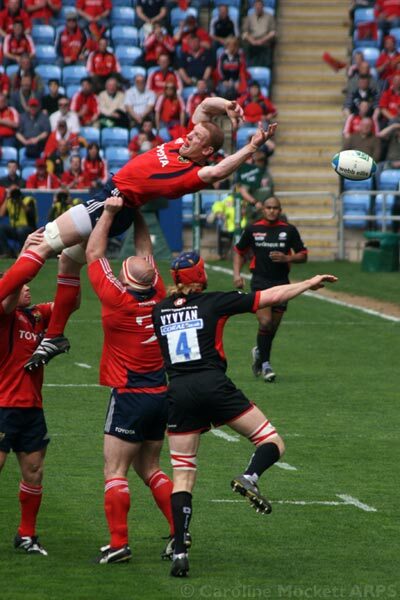 This was early in the first half – Munster Captain Paul O’Connell reaches for a restart kick but just misses – while Saracen Hugh Vyvyan does a little dance down below.